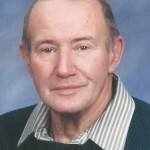 Kenneth Wayne Gausman was born in Howard Lake, MN on June 3rd, 1925 to Ervin and Violet (Robinson) Gausman. Soon after the family moved to the Albright’s area of Middleville Township, and this is where he spent his childhood. 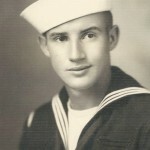 He graduated from Cokato High School in 1943, and immediately joined the U.S. Navy, serving as an aircraft mechanic until his discharge in May 1946. He then returned to the Cokato area, and worked at various jobs. On July 11th, 1953 he was united in marriage at Detroit Lakes to Martha Mischke of Frazee. They lived in Oak Knoll, Navarre, and later Maple Plain. He was a long-time employee of the J.R. Clark Co. of Spring Park, and later worked many years as a mold repairman at Molded Products in Maple Plain. He passed away August 21rst 2018 at the age of 93. He is survived by his wife Martha, son Russell of Cokato, daughters Mary (Mike) Schmidt of Nelson, and Sharon (Manford) Peterson of Litchfield, four grandchildren, and eight great- grandchildren, one brother, Robert Gausman of Wayzata, and many nieces, nephews, and friends. He was preceded in death by his parents, two half- brothers, Vern and Glen Jones, and a brother William Gausman. A memorial service will be held at 2 PM on Monday, August 27th, 2018 at the Swanson Peterson Funeral Home in Howard Lake with visitation 1 hour prior to services. Pastor Laurie O’Shea officiating, with internment at the Sylvan Cemetery, Middleville Township. Military rites were conducted by American Legion Post 145.